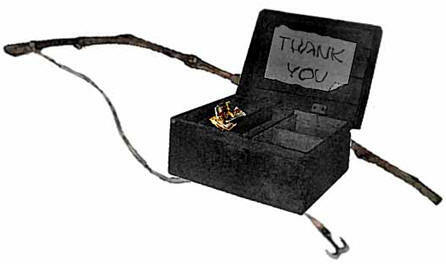 6. one fishing pole and tackle box. 2-headed turtle while carp fishing in the Fox River! Use t-poles and rope to enclose a small area. 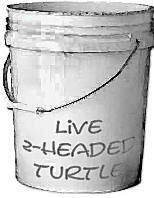 “Live 2-headed turtle” on the side of bucket. fishing pole as an added prop. 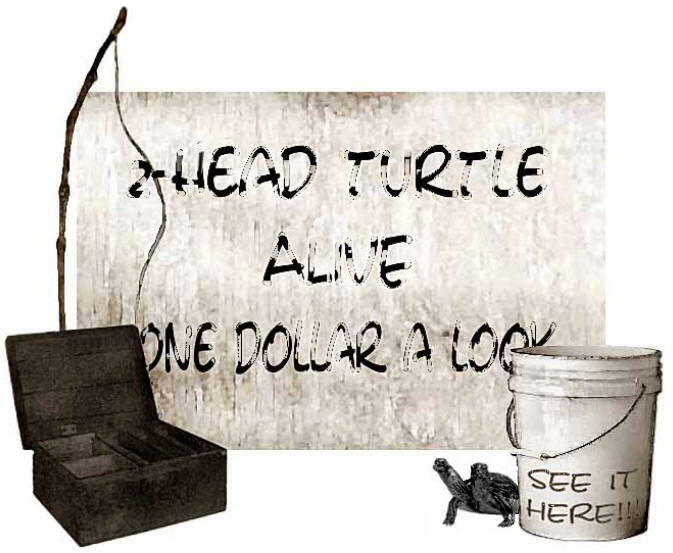 Put little Terry next to the turtle and it’s Showtime! (A cute kid increases the size and number of the tips.